Book will open in another tab or window..Please wait for it to load as it is 60 pages. 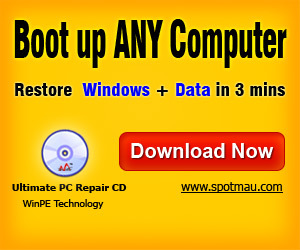 Support booting from CD/DVD drive and USB drive. Adopt Microsoft authorized WinPE technology. 100% compatible with all computer brands. Transfer files (photo, music, document etc.) to external storage devices. Rescue files from crashed or formatted hard drive.